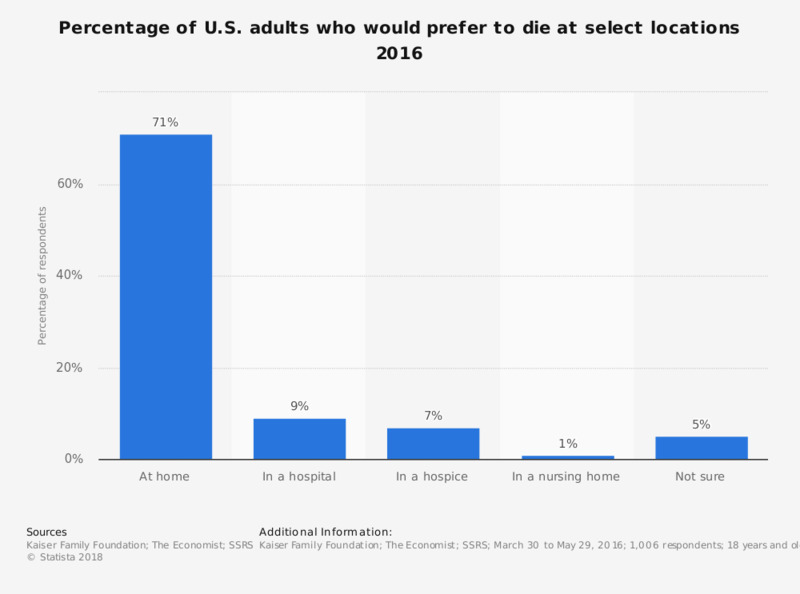 This statistic displays the percentage of adults in the U.S. who would prefer to die at select locations if they had a choice, as of 2016. It was found that 71 percent of respondents preferred to die at home given the choice. Original question: "If you had a choice, where would you prefer to die?"